This sale is for a brand new Cokin A026 81-A (Warm) Filter, the box might be a little shop worn but the filter is brand new with full COKIN manufacture's warranty. Color correction filter which decreases the color temperature from 3400K to 3200K (makes it more red) to reduce the blue cast and warm-up the tones. Great filter for landscapes or portraits (to warm-up the skin). This is a light balancing filter used to decrease the color temperture slightly for a warmer tone. The 81-A will correct the tendency toward bluish tones. The 81-A should be selected when shooting portraits outside on a cloudy day to warm the skin tones. Another great use is when shooting landscapes and you want to add warmth to the shadow areas. 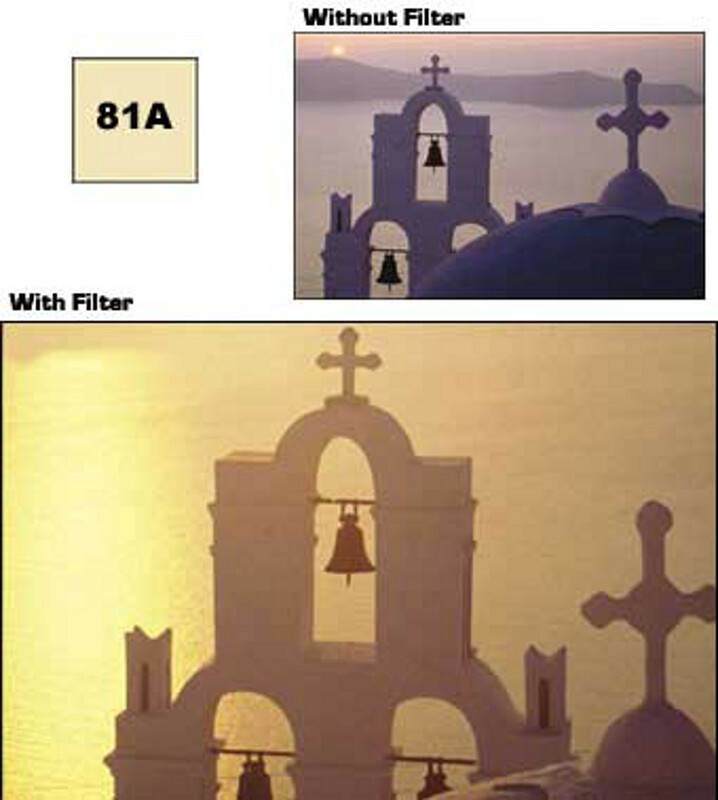 The 81 series filters are useful in cool light conditions. As letters advance, density and warmth increases. Creates warmer tones and brighter colors on overcast days or when shooting with electronic flash Great for improving flesh tones 81A converts 3400 K to 3200 K lighting All warranty is done through the manufacture.